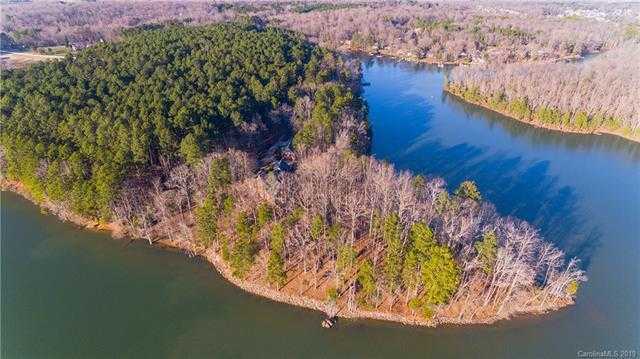 Rare opportunity to own 30 acres of prime point waterfront property with elegant classic home on the tranquil waters of Mountain Island Lake. This idyllic estate is owned by Nascar legend Humpy Wheeler, voice & character of Tex in the Pixar Cars movie. This English Cottage brick and stone home is the epitome of elegance and was built of the finest materials in 2001. Vaulted great room with wooden beams, stone fireplace, private pier with covered sitting area and stone patio with outdoor fireplace leave nothing to be desired. Baby your classic car collection in the 4+ car garage & 4+ car barn. It’s a private wooded sanctuary of nature surrounded by water yet only 18 minutes to Charlotte.